Amy Riding the Golden Cricket by Ken Rinaldo was created for an exhibition Beam Me Up curated by Leonel Moura. 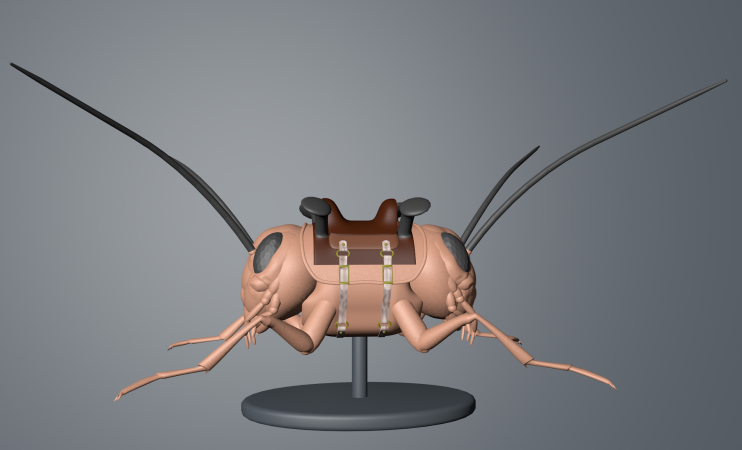 The work was a 3D rapid prototyped two headed cricket with a bull like saddle and a figure riding the “bull” cricket. 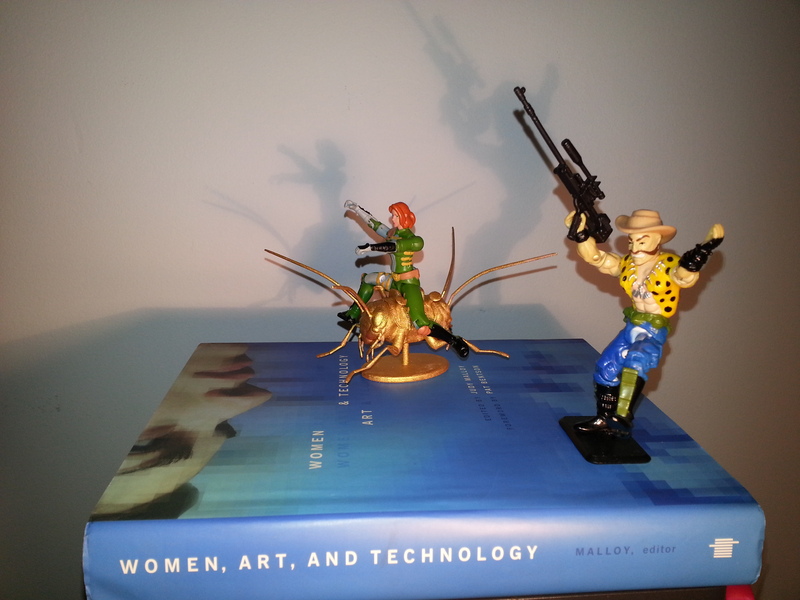 The work is painted gold and mounted on Woman Art and Technology book, by Judy Malloy. This was my way of having Amy enter this book as I have always felt she should be within. I was able to also find two articulated toys to create a mini world and one that reminded me of my super hero Amy with the red hair. Notice the figure is holding a Woman’s Tear Machine Gun the ultimate metaphor for disarming and peaceful uses of technology, is the flaccid gun. 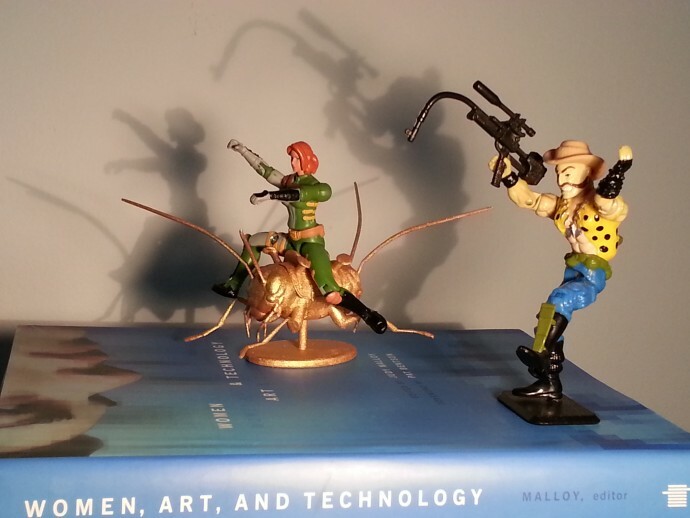 Amy Riding the Golden Cricket by Ken Rinaldo, 3D rapid prototype, figures and book. 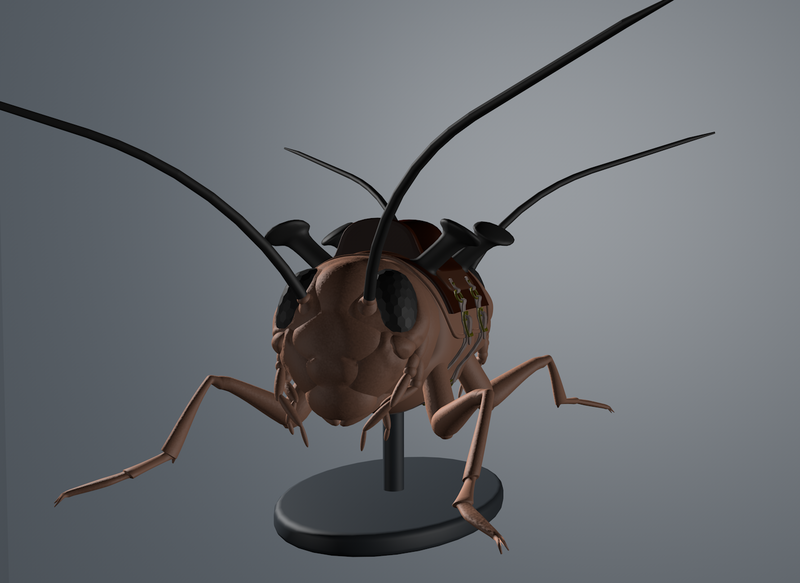 It was a repurposed 3D model that I created for the Trans-Species show and repurposed for this exhibition. 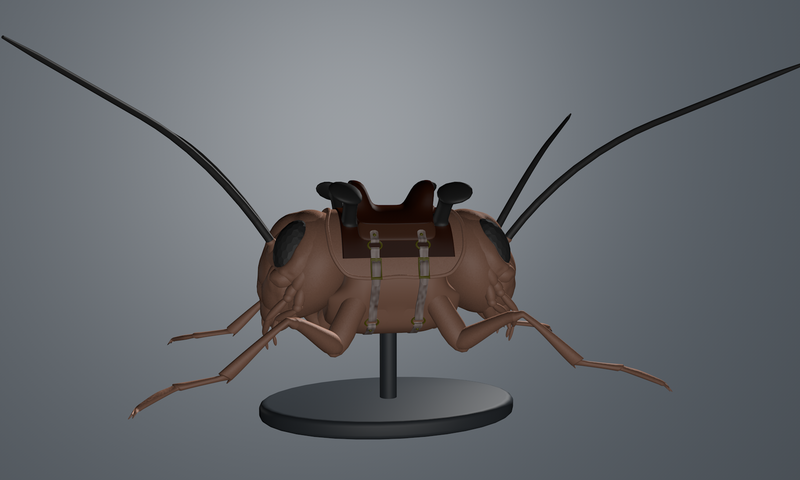 The 3D models of Amy Riding the Golden Cricket. 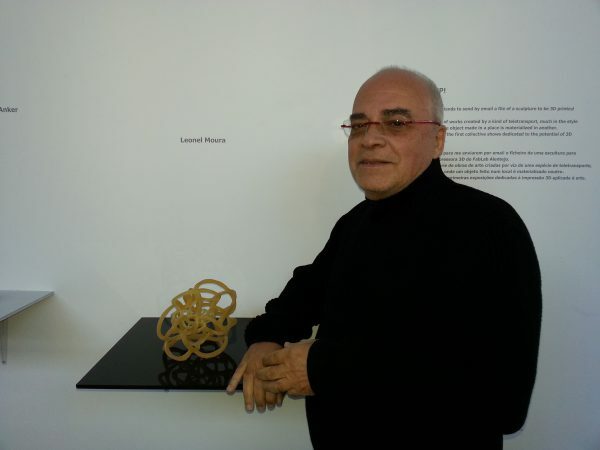 The concept for the show was Leonel Moura who wanted to have all works arrive digitally to be printed at his gallery. A exhibition shot at the Robot Factory, Leonel Moura gallery in Lisbon Portugal. I was really excited by this idea though felt I would have a more complete work that also involved other elements such as the book.